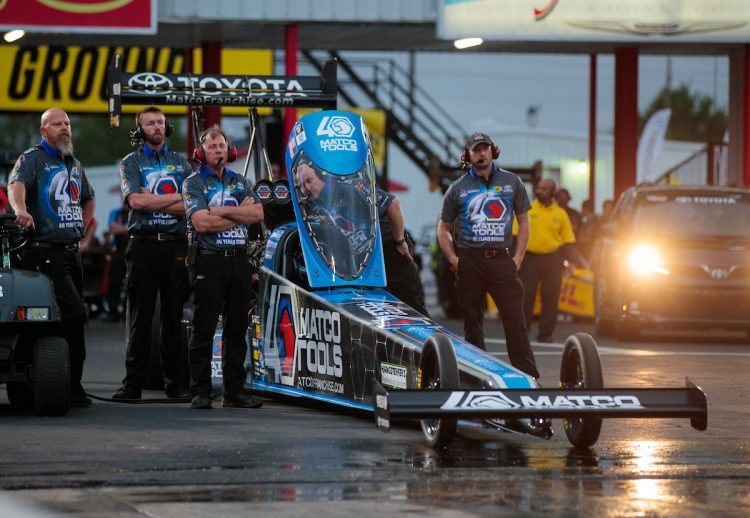 Antron Brown drove his Matco Tools Toyota dragster to his first final round of the season before falling to Brittany Force in Sunday’s NHRA SpringNationals at Houston Raceway Park. It marked the sixth time that Brown has reached the SpringNationals finals, five coming in Top Fuel and once in Pro Stock Motorcycle. – Antron Brown drove to his first final round of the season today and it’s the second time he’s advanced to the semifinals or beyond in 2019. He has now made 122 final round appearances during his Mello Yello Drag Racing Series career, with six of those coming at the SpringNationals – 2019, 2014, 2012, 2010, 2008 and 2004 (Pro Stock Motorcycles). – Doug Kalitta continues to lead the Top Fuel point standings and will take a 23-point lead into the next event at Charlotte. Antron Brown climbed up to seventh, while Richie Crampton is ninth. In Funny Car, J.R. Todd moved up to third, while Shawn Langdon currently sits tenth. Antron Brown, Matco Tools Toyota Top Fuel Dragster:“All in all, it was a good day for the Matco Tools/Toyota/Pennzoil race team today. We’ve been going through a lot of adversity and we’ve just been fighting through it as a unit together. Today, people saw what we are capable of. It feels good just to get back to what’s been the norm. We still have a ways to go, but we’re just going to keep on working and keep our heads down and everything’s going to be just fine.